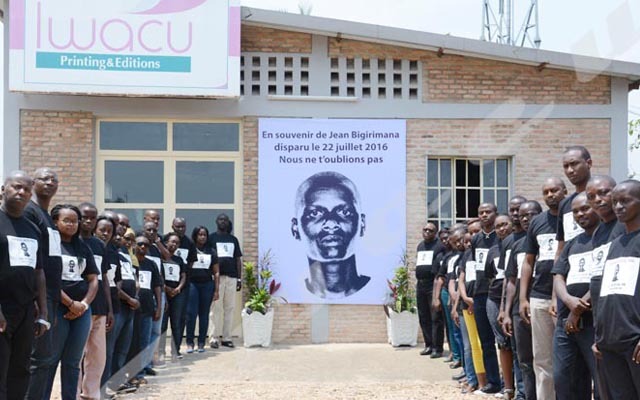 While the World celebrates the day of Disappeared People on every 30 August, it is not easy to identity figures in Burundi despite their existence. Minister of Human Rights, however, comforts the families of victims. Martin Nivyabandi, Minister of Human Rights, Gender and Social Affairs, says there are cases of missing people in Burundi and comforts the families of the victims. “Quite a lot of people disappeared in Burundi further to repetitive crises,” he says adding that their families alert the public through the social media but not the known official authorities. Minister Nivyabandi says it is difficult to establish the statistics of missing people and to identify their criminals. “We didn’t register any case of enforced disappearance in 2017. Even the commissions of inquiry of the United Nations have to be carefully about the figures which are given because there are people who disappear today and who reappear after few days”, he says. Human Rights Minister says the perpetrators always hide their victims’ traces for fear that they may be punished. Matthieu Sake, chairman of the Community Association for the promotion and protection of Human Rights-ACPDH says the situation is not easy as some people believe it, following the sociopolitical crisis that arose in 2015. “The families of the missing people still have no news about theirs”, he says adding that the number of the missing people has decreased even if all the disappearances were not reported to the association. “More than 16 cases were registered from January to December 2017,” he says. Mathieu Sake believes that the consolidation of peace and security, the promotion and protection of human rights and the respect for the rule of law could decrease the number of disappeared people. Furthermore, he says, it is important that the agents of the security forces obey the law when they arrest people. “Some people disappeared when they are arrested,” he says.